Hi all, I'm really quite new to the forum, so not sure if this is the right place to introduce/talk about this subject, but here goes. I've been reading many of the posts here and see there is a seemingly tight group of highly/deeply minds with awesome discussions ongoing. My question is; (and I'm sure this is nothing new) has anyone given any thought to the question of life either present or past on Mars? Has anyone formulated or even experienced life there in one form or another. After all, the planet is "just up the road" from us with a blue sky, breathable atmosphere (regardless of NASA dogma) and although a bit chilly north and south, the central region is reasonably warm(ish) with generally, familiar topography. Has anyone seen any images (from various cameras either in orbit or on the surface) which seem convincing to the degree that one can say..ah ha, that's not not a natural "whatever"! And if it's not natural...then it is by design? Very loaded question, and a good one. Past life on Mars? I will say most certainly - yes. Present life on Mars, I will say highly probable... What type of life, well that remains to be seen, and or publicly acknowledged. Hey Casper, thanks for your comment. If I may, can I ask why it is you are so certain that life once was there and why now seems probable? Have you seen/experienced anything that convinces you? Sorry if I sound probing but as you say, it was a loaded question. I should really say a little more here as I'm sure I look a little "searching". The reason I ask this question, is that the "ultimate" question is being sought by all, "is there proof that intelligent life (other than human) exists anywhere in any shape or form? We have snapshot images and videos of UFO's and while these are quite compelling (life changing to the person who captured it, I would imagine) the lingering doubts remains; "was it, could it, has it been - photoshopped" and unfortunately, that minuscule doubt is enough to keep the question sadly unresolved. Then there's the physical evidence such as the mini 6" alien promoted by Greer which imo actually is quite compelling but honestly, has it been "broadcasted" out there in Joe Public Land that; "Hey, we have the DNA evidence back and guess what....it REALLY IS AN ALIEN" Nope...just a white washed "drift" that it maybe er...slightly Human...as then the message sloooowly drifts out, to the degree, that no one really takes any notice. And then there's those implants....same thing, same public exposure "maybe, could be etc etc"! Next up is the so called whistle blowers, and you got to love them. I do, I think Corey is great, whether he's telling the truth or not, it really doesn't matter does it! Because unless he turns up on the show and hands over to David, here...look, this is one of those "Smart Pads" I was talking about, let's show the viewers how it works and blow everyone's mind - hasn't happened, at least not yet! Then there is Bill Tompkins latest testimony. And again, you got to love the guy, he is so convincing (I think age has a tendency to give additional credence to his story). But listening and then reading the comments on Gaia, https://beta-427.gaia.com/show/cosmic-disclosure no one even asks the question; "if we are manufacturing spacecraft several kilometers in length and almost as wide, where AND HOW do we make the the sides and panels etc that large to produce such a ship, where is the tooling and production sites and once produced, how the heck are those parts moved up into space and bolted together? Couldn't do it where there is any gravity, they'ed be too bloody heavy, so I guess they must be made in space yes? Wait a minuet, how then in the world would we produce a probable 200 meter long metallic side panel (just a guess) to be bolted together in a "no atmosphere" environment? The list goes on. Still, I like Bill and look for to him for more information! So, where and how would constitute an "official, probable image or thing" that would give possibly a solid "yes, that's intelligent and it's not human" whatever? I think it exists, but would like to first, hear any of your thoughts. Last edited by M-Albion-3D; 09-28-2016 at 10:06 PM. Software used to identify artificial structures here on Earth, give a very high likelihood that what is visible in images of those areas is artificial. Remote Viewers have come up with contradictory stories, but all involve a Mars that was once inhabited and where there still is a small population. Re evidence of ET: not one single smoking gun piece of evidence but an abundance of evidence that when put together would stand in court. Re Mars: In the post above I mention regions that look like they have artificial structures. On a somewhat less grand scale, there is the Martian meteorite discovered in Earth's frozen wastes, that contained micro-bacterial fossils. That is a solid artifact you can hold in your hand. And it contains what appears to be proof of organisms that were once living on Mars. Maybe not intelligent life, but sounds like proof of life on Mars at some point to me. Yes, agree with this evaluation on the meteorite evidence, when I first saw this too back in 84, there was quite a hullabaloo made over it's discovery. My take then on the whole episode was a "tester" of sorts to assess public reaction. I believe that our first gateway to formal Disclosure, is going to be along these lines delivered courtesy of; "Curiosity finally discovers microbial LIFE on Mars" which....could be the thin edge of the wedge for greater finds to come? 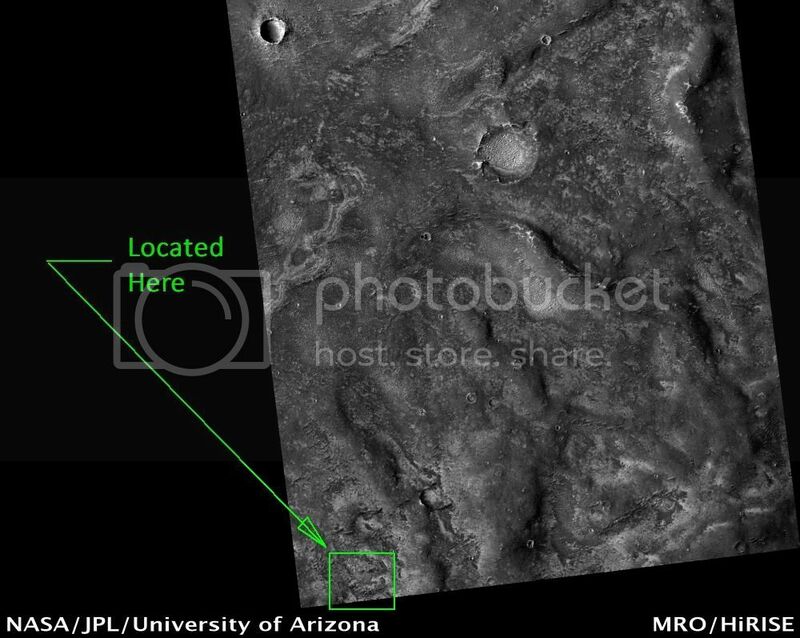 The big question though, is how could we (this forum) evaluate if an anomaly captured in a Mars image, is the work of "intelligent design" and more importantly, how could we even recognize it even if it was artificial? 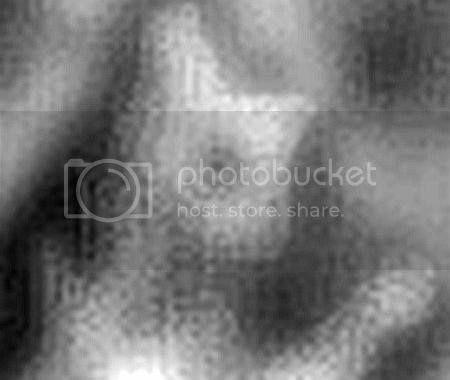 In my opinion, any possible image evidence sent back from Curiosity will not prove fruitful as the image capture span is far too limited. I feel quite certain that NASA scans these images profusely before setting them loose and any signs of telltale "stuff" will be sufficiently blurred by compression artifacts. Surface imaging of the planet from above, in hi definition is far more rewarding as the images have extreme volumes of pixel data which NASA has difficulty in scanning successfully prior to posting on the Internet. Now, if just one artificial anomaly in these hi def images can be found and confirmed and agreed upon, IMO, that would be the smoking gun. And who better to deliver the data than direct from NASA itself! The question is; have they in their haste to post - missed erasing and/or modifying the damming evidence? If just one anomaly is found and confirmed as artificial, that will be the proverbial "White Crow"! The trick is; A. Finding the anomaly and B. Assessing if the data point is of INTELLIGENT DESIGN ...or not. Is it really that simple? Here's an example of an image captured on Dec 28, 2008 by the awesome Mars Reconnaissance Orbiter or MRO taken along the southwest plains of Melas Chasma just below the giant Valles Marinaris Canyon. Trying to scan for any alien anomalies before this image was published on the Hi RISE website must have been difficult and sometimes....they slip up! In some ways, it's like playing a game of Martian "Where's Waldo" and in High Definition too makes all the difference. Now, it becomes really fun if and when you can turn the image into a 3D anaglyph...really, it becomes "just like...being there". Last edited by M-Albion-3D; 09-30-2016 at 07:07 AM. OK, I give up! LOL. It took many hours on this particular image file to discover this and there are many other works of alien art in these MRO image files which are congruent in terms of style and character. Let's take a closer look at this incredible 12 foot tall artistic "hologram" of a caricature of a standing alien. But be sure to look closely in the immediate vicinity "around" the standing alien form as it is here we start to see the sheer cleverness on their capability. It is a technique of manifesting these "works of art" using the topographical "matter" in-situ that makes it very difficult "initially" for the human eye/brain to recognize. Why this is, is simple to understand once the technique is discovered. They create images of "life" (mainly faces and there are literally zillions of them) by changing the topographical structure of matter "in-situ" and works of art are just one creation using this stunning capability. Can we do this? Not to our main stream mind in current technology...and as a result, our brains fail to recognize something that we cannot presently do. It is vitally important we understand this, otherwise, one will find it difficult to focus on the results of their manifestations. I can't overstate this enough. Here's a cool video I made focusing in on the location. I hope to share some more wonderful evidence of their creativity.....only if there is interest, so could you please let me know? Remember, "all that is needed is just one white crow to know that not all crows aren't black!" Last edited by M-Albion-3D; 09-30-2016 at 05:50 PM. "All that is needed, is just one white crow to prove that not all crows are black!"